David Finch was not diagnosed with Asberger’s Syndrome until he had already been married for five years, but suddenly so many of his behaviors made sense to him and his wife. In The Journal of Best Practices, David chronicles his attempt to understand both his disorder and the wishes of his wife, and his resulting list of best practices of marriage. Margie, Michelle, and I had the good fortune to meet David during our time at GLIBA, and we were all thoroughly charmed by him personally. We weren’t the only ones, either. It seems that everyone in attendance was drawn in by the funny, engaging excerpt he read, about learning to finally put away the laundry. When Hayat Shah’s father left Pakistan, he did so to remove his family from the influence of fundamentalists, so when a piece of that world – in the form of Mina, Hayat’s mother’s friend – becomes part of their lives in America, he is not pleased. Hayat, though, is thrilled, both with the beauty and personality which are family legend, and with the way she introduces him to the power of the Quran. This book has been described to me as family drama, plus the issues of coming of age while dealing with religious and ethnic identity. I’m really not sure a description could call to me more than that, right there. In Darkness has the distinction of being the single YA book on my list, I’m not sure why I’ve been shying away from young adult literature lately, probably because there is SO MUCH of it that if I went down that rabbit hole I might never return. Regardless, In Darkness promises to be a very powerful story. Set in Haiti after the earthquake, the book is told from the point of view of “Shorty,” a boy trapped in the rubble of the hospital who feels nobody’s presence, except that of Toussaint L’Ouverture, a slave and revolutionary leader from 200 years in the past. Behind the Beautiful Forevers is the second work of nonfiction on this list. Author Katherine Boo, a Pulitzer Prize-winning reporter, focuses her attention on Annawadi, a settlement near the Mumbai airport, in a time when India is prospering and hope is palpable. The hope doesn’t last, though, and recession and terrorism rock Mumbai, shaking up the already on-edge lives of the people of Annawadi. The Random House rep I spoke to believes that that Behind the Beautiful Forevers is amazing, moving nonfiction on par with the National Book Critics Circle award winner The Warmth of Other Suns (which is also on my TBR pile). I’m sure there is no way I will be able to wait until March to read what sounds like a delicious 1920s English ghost story; it will be plucked from my TBR pile during the first really good winter storm. The eponymous Maddy Clare is a nineteen-year-old serving maid who committed suicide. Sarah Piper, a woman without any means, finds herself forced to struggle with Maddy’s ghost, after being assigned to a ghost hunter by her temp agency. Flipping through the pages , The Haunting of Maddy Clare promises to be an atmospheric read. I have a love/hate relationship with Homer; I have been unable to ever try to read him again after a particularly painful experience with him in sixth grade, but I love pieces of art that remake Homer’s work. I loved O Brother, Where Art Thou? so much that it ALMOST made me want to read The Odyssey again. Almost. Madeline Miller’s debut, The Song of Achilles, might just do it for The Iliad, though. Heck, I’m nearly convinced just from reading her passionate discussion on the back of the advance copy about how she came to write The Song of Achilles. Whether or not she makes me read Homer, I’ll definitely be reading her take on the hidden love story of The Iliad. Lauren Groff’s sophomore novel, Arcadia, is already garnering amazing blurbs and reviews. Arcadia is set in western New York State in the 1970s on a commune. The description promises that “What unfolds is an astonishingly beautiful novel about happiness and the impossible dream of perfection.” I’m not sure that a storyline about a commune would necessarily have drawn me in otherwise, but a line like that is difficult to ignore, as is just how beloved Groff’s debut novel, The Monsters of Templeton, was. I have not yet had the chance to read it, but everyone I know who has adored it, and for that reason alone I am over the moon to read Arcadia. Anyone who knows my reading tastes well will know that I am a huge fan of the group blog, The Debutante Ball. Tiffany Baker was a member of the The Debutante Ball class of 2009 with her debut novel The Little Giant of Aberdeen County, which I really enjoyed. Little Giant was a fascinating story, so I was curious to see where Baker would go with her second novel. In The Gilly Salt Sisters we travel to an isolated Cape Cod village, where the Gilly sisters run the family salt farm, and it promises to be deliciously full of small town drama and family mystery. And really, even if I wasn’t already looking forward to this book, that beautiful cover would pretty much sell me on it. Dau’s debut novel deals with a young man from a Muslim country who is orphaned during a U.S. military operation. After being relocated to America by an international relief organization, he begins to talk to a counselor about the American soldier who saved his life the night the rest of his family died. At the same time, the soldier disappeared immediately after the raid, and his mother has been searching for the answer of what truly happened to her son. If this is as well done as it seems that it is, it promises to be a powerfully evocative novel of war and the way it reshapes the lives of all it touches. In July 1890, Vincent van Gogh went into a cornfield and shot himself. Or did he? Why would an artist at the height of his creative powers attempt to take his life…and then walk a mile to a doctor’s house for help? Who was the crooked little “color man” Vincent had claimed was stalking him across France? And why had the painter recently become deathly afraid of a certain color blue? Christopher Moore was the keynote speaker at GLIBA on Saturday night, and he had everyone nearly falling out of their chairs laughing , but he also sold himself and his book very well. There’s a good chance I’ll be reading this over my Christmas break, because I really don’t think I can wait until April. 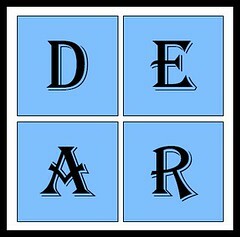 January 1st, 2012 | Category: D.E.A.R. I had not heard of any of these books. I will be curious to see how you like them when you do manage to get to them. I’ve got a few of those in my TBR pile too. The early buzz for American Dervish is outstanding. I have Arcadia on my short list, too; I’m excited for it! Thanks for reminding me of Tiffany Baker and Lauren Groff. I loved both first books from these writers and can’t wait for the next! I cannot wait to read these AND so many more! I could seriously read only books picked up at GLiBA and be perfectly content. Have you started David’s book yet?